The Food Committee in 1981. This photograph was found from a yearbook form 1981. 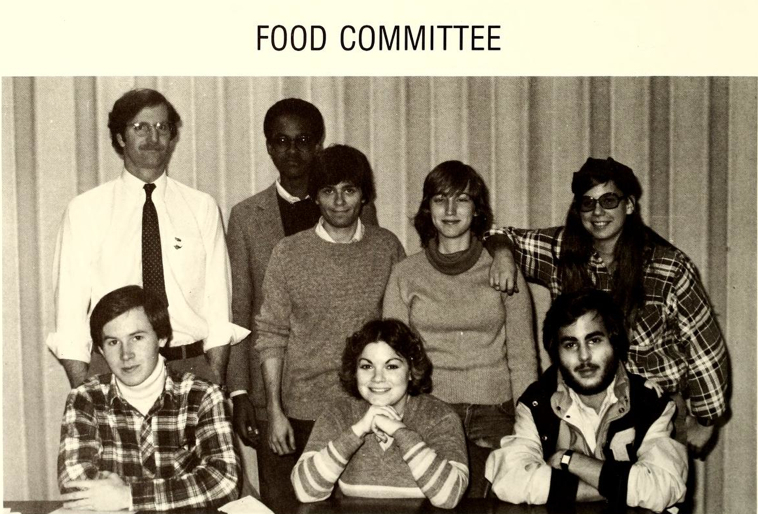 During the 1980's, there was a food committee at Lake Forest College. Though this committee did not continue on through the years, they wanted to focus on what foods the students enjoyed the most, and what kinds of foods they would want to continue to have in the cafeteria and throughout campus. Today, the college does not have a Food Committee for students to join. Since Aramark is highly promoted now at the college, their company promotes many surveys for students to take about food offered in the cafeteria.